Quickly get to know Hong Kong&apos;s climate. 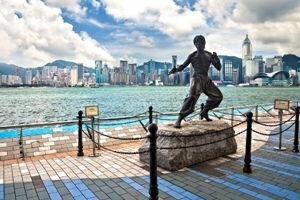 Find the best time to visit Hong Kong for you, clothing and pro travel tips, and a Hong Kong weather forecast. Hong Kong has a monsoon-influenced subtropical climate. It is mild for more than half the year. There are mild, relatively dry winters and hot, humid, wet summers. The warmest times are from late May to mid-September with daily highs averaging 33°C (91°F). The coolest times are from mid-December to February, when the temperature may fall to 10°C (50°F). Hong Kong’s annual rainfall is a huge 2.4 meters (94 inches), 80% of which falls between May and September. The wettest month is August, when rain falls for about four days out of seven. The driest month is January, when rain only falls about one day a week. From late-May to mid-September, there are occasional typhoons and violent thunderstorms. 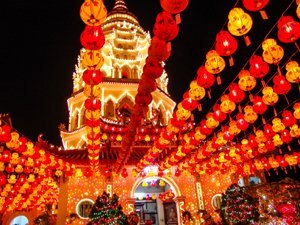 January/February is the best time to experience Hong Kong festivals, as it is the time when the Spring Festival and the Lantern Festival are celebrated. Hong Kong is one of the best places to experience these two Chinese festivals. Christmas in Hong Kong is also a world-class event. The best time for shopping in Hong Kong is during the two sales seasons: winter sales occur from December to February (especially around Christmas and Chinese New Year) and summer sales occur from July to September. Spring in Hong Kong is from March to early May. Weather: The temperature ranges from 19 to 26°C (66–79°F). The weather is often pleasant but changeable: there are wonderfully sunny days as well as foggy, rainy, and stormy days. There is an average of only about 3 hours of sunshine each day. Clothing: Prepare a thin jacket and sweater for the lower temperatures at night. An umbrella is required. 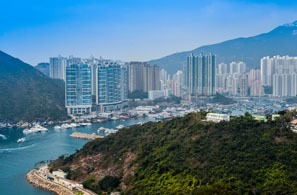 There are lots of places for spring outings in Hong Kong, such as Lamma Island, Cheung Chau Island, and Lantau Island. 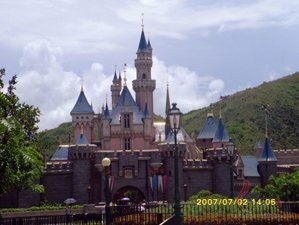 Spring is the shoulder season in Hong Kong so it will be less crowded at attractions. April is the month for many large meetings and exhibitions. Hotel prices will increase and you are recommended to book at least 1 month in advance. Visiting some exhibitions is a good option. The weather is humid in spring. The rain and mist decreases visibility, and occasionally disrupts air and ferry services. 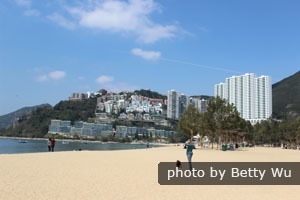 Visit Repulse Bay in summer. Summer in Hong Kong is from late May to September. Weather: Temperatures commonly exceed 31 °C (88 °F). It is very hot and humid, and there is a constant threat of showers, thunderstorms, and typhoons. Clothing: Umbrellas, summer clothes, and sunscreen are useful. As the temperature is high, you can travel lighter. Outdoor excursions, such as going to beaches, hiking, and camping in the mountain forests, are fun. Tourists can take advantage of the special rates and services during the Hong Kong Shopping Festival. May and June are not part of the peak season. Hotels offer the biggest discounts during this period and there will not be too many tourists. However, July and August are the peak season because this period is when the school summer holidays fall in China. It is hot and humid from May to August, with occasional showers and thunderstorms. July to September are the months which are most likely to be affected by typhoons in Hong Kong. Under severe weather conditions, your tour plan might be disrupted. But don’t worry if you’re travelling with us: your guide and travel consultant will help you to rearrange your plan, advise you on some indoor activities, and refund you for any attractions you didn’t visit. Autumn in Hong Kong is from October to early December. Weather: It is the best time to visit Hong Kong. The days are usually pleasantly clear and sunny, with temperatures ranging from 22 to 28°C (72–82°F). There are a few (4–8) rainy days each month. Clothing: Summer clothes will still do, but it is advisable to take jackets and warmer clothes for the end of the season. This is the best season to go up Victoria Peak. The weather is drier with fewer clouds so you can have a better view from the peak. 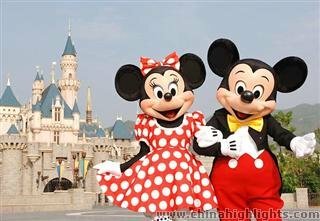 For more ideas, Lantau Island&apos;s natural parks, beaches, and recreational sites, such as Hong Kong Disneyland, are enjoyable at this time of the year. This is the best time for shopping in Hong Kong. 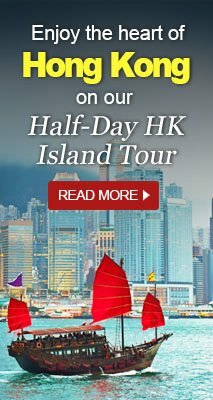 October 1st to 7th is Hong Kong’s most visited period as large crowds of tourists from mainland China will go there to spend their National Day holiday. Book your hotels and tickets as early as you can. As the weather is sunny and dry, moisturizer and sunscreen are very useful. Experience Chinese New Year in Hong Kong in winter. Winter in Hong Kong is from mid-December to February. Weather: The bustling holiday season often has pleasant, mild winter weather. The temperature is about 16 to 18°C (61–64°F). When the cold front passes, the temperature may drop under 10°C (50°F) at night. Clothing: Sweaters and jackets are needed for most days. Occasional chilly spells make coats necessary. It doesn’t snow in Hong Kong, and frost is very rare. 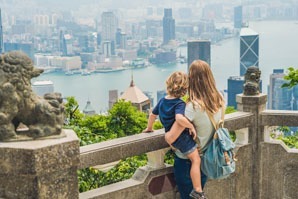 Hong Kong is one of the best places to travel in winter, as well as a top place to experience Chinese New Year activities. Chinese New Year is another peak season, but the time after the festival is not. You can confirm your bookings early and celebrate Chinese New Year with local people or enjoy a less crowded journey after the festival. You can enjoy the best discounts in shopping malls during Christmas in Hong Kong. As the weather is cold and dry, use some face cream and hand cream before leaving your hotel. Hong Kong is a year-round destination. The most popular time to visit is from the middle of September to the end of February during the Chinese New Year when the weather is cooler. Choose your preferred time of travel! 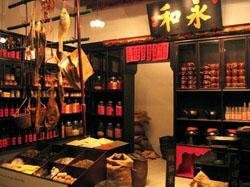 One-Day Macau Tour from Hong Kong (Seat-in-Coach Tour): Join our Macau tours to experience the charm of Macau. 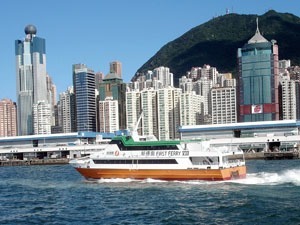 More Hong Kong tours: See the best of Hong Kong with our Hong Kong tours.